Irwin Cycling wheels are designed and tested in California, and recently introduced some new products for the all-road cyclist. 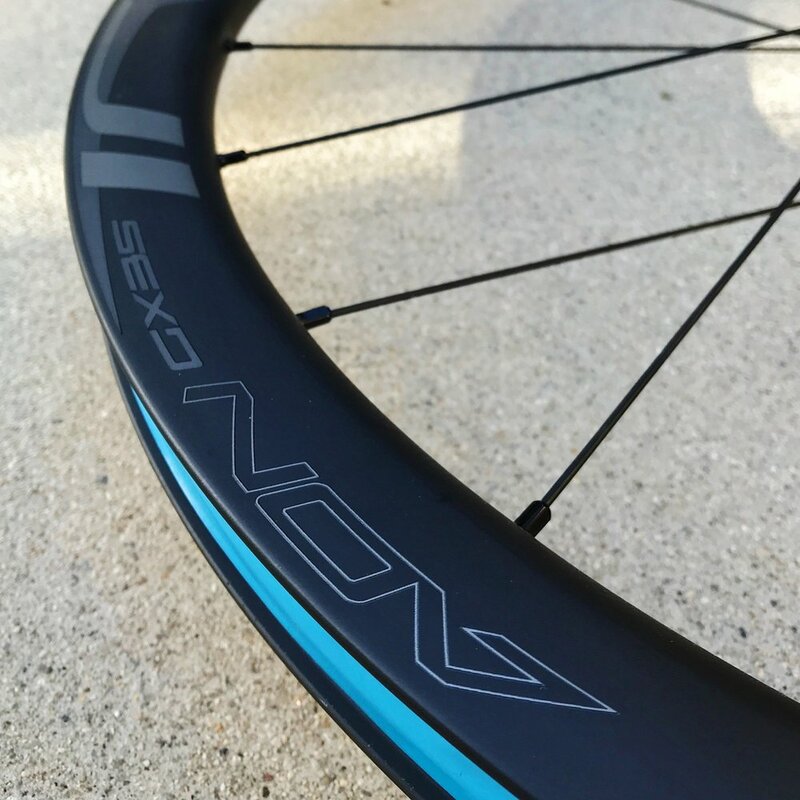 We got our hands on their AON GX 35 carbon disc wheelset and put these hoops through all kinds of conditions both on and off pavement. Jumping in at the right time, Irwin joins a few other manufacturers in now making gravel specific wheelsets to round out their existing mountain and road offerings. The idea is to create a super stiff, lightweight rim with a wider inner width than standard road disc wheels to allow for larger, more supple tire choices. While existing rims tend to be either too heavy or too narrow, the AON GX 35 hits the sweet spot with an internal width of 24mm and 35mm of depth. Out of the box these wheels are tubeless ready and come pre-taped for easy tubeless set-up. With tubeless valves also provided, all you need are a set of tires and sealant. The handmade AON GX 35s are available in both 650b and 700c sizes, feature an asymmetrical design and come equipped with Irwin’s own hub technology. IRDH-04 disc hubs come with enduro bearings and have an interchangeable cassette body. The wheelset also arrived with QR skewers, tubeless ready valve stems, extension valves, center lock adaptors, spacer for 11 to 10 speed conversion and multiple front & rear hub end caps. Yes, these wheels look great. And while I’m no expert on quantifying stiffness, I can tell you they feel super responsive climbing, descending, turning and even dodging the occasional rock. I admit to being a bit skeptical on 650b not long ago, perhaps due to my preference for 29er MTBs. I can now say confidently the benefits are real, especially for a dedicated gravel machine. The compliance gains make a measurable difference on longer grinds and the AON GX 35s provided ample confidence and the ride quality I was looking for. Durability was also a plus, as these carbon rims and Sapim spokes continue to look and perform unscathed after a few hard rock hits. Lighter rims can make huge difference, and if you are looking for the next upgrade it’s hard to go wrong with a set of carbon wheels. The performance, stiffness and ride quality gains are no joke. If you’re looking for a bomb-proof, affordable set of gravel wheels, the AON GX35s are a top contender.